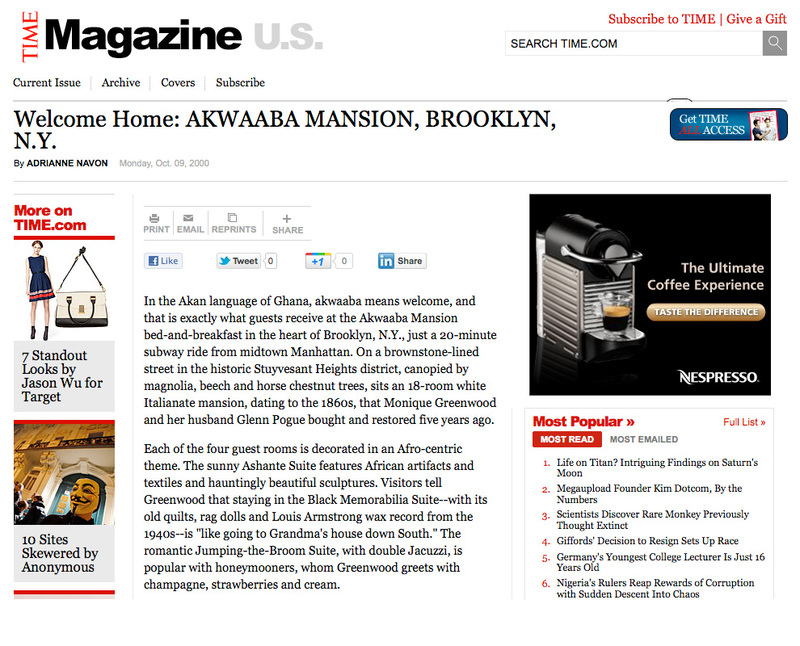 Time Magazine – AKWAABA MANSION, BROOKLYN, N.Y. In the Akan language of Ghana, akwaaba means welcome, and that is exactly what guests receive at the Akwaaba Mansion bed-and-breakfast in the heart of Brooklyn, N.Y., just a 20-minute subway ride from midtown Manhattan. 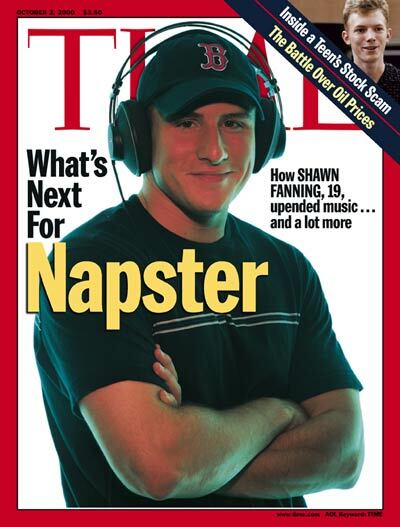 On a brownstone-lined street in the historic Stuyvesant Heights district, canopied by magnolia, beech and horse chestnut trees, sits an 18-room white Italianate mansion, dating to the 1860s, that Monique Greenwood and her husband Glenn Pogue bought and restored five years ago. Each of the four guest rooms is decorated in an Afro-centric theme. The sunny Ashante Suite features African artifacts and textiles and hauntingly beautiful sculptures. Visitors tell Greenwood that staying in the Black Memorabilia Suite–with its old quilts, rag dolls and Louis Armstrong wax record from the 1940s–is “like going to Grandma’s house down South.” The romantic Jumping-the-Broom Suite, with double Jacuzzi, is popular with honeymooners, whom Greenwood greets with champagne, strawberries and cream. Breakfast, served in the dining room, sun porch, garden–or even in bed–includes blended juices, salmon cakes, scrambled eggs and scallions, cheese hominy grits, corn bread, fried apples and turkey sausage. Or visitors can stroll to the corner and enjoy African, Caribbean and Southern fare at the Akwaaba Cafe. Greenwood, editor in chief of Essence magazine, is spearheading a renaissance in Stuyvesant Heights. Though touched by urban strife decades ago, the close-knit, family-centered neighborhood has been illuminated by new businesses. African Americans savor a sense of pride and connectedness at Akwaaba Mansion, and savvy travelers from other backgrounds enjoy an entree into a fascinating historical community where a warm welcome prevails www.akwaaba.com 718-455-5958).